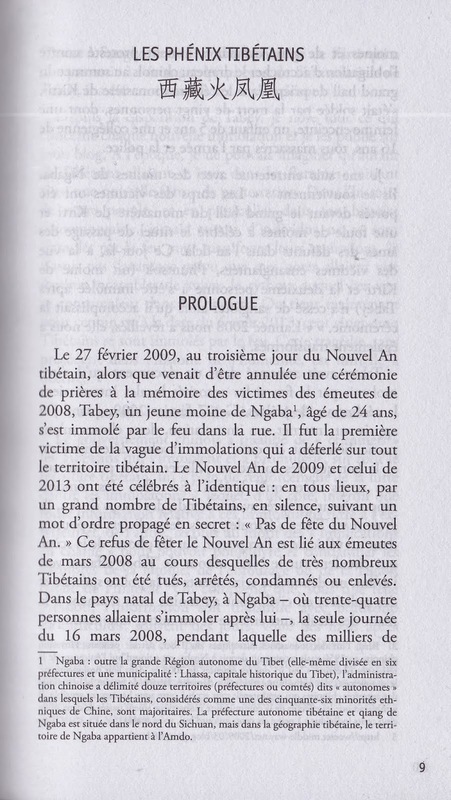 Paris — A blogger, a taxi driver, a Communist Party official and a Buddhist monk. All of them Tibetan, and all of them driven to the desperate step of setting themselves on fire in protest at Chinese rule. 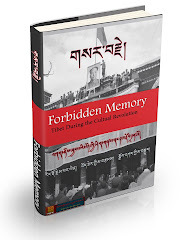 These and dozens of others are the subject of a new booklet written by Tsering Woeser, a famous Tibetan poet, essayist and fierce critic of the Chinese government's rule over the sprawling Himalayan region. 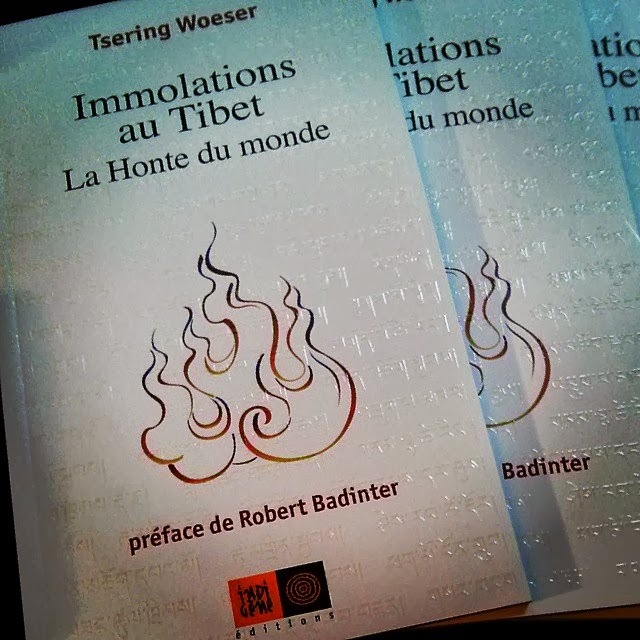 "Immolations in Tibet: The shame of the world" -- which so far is only being published in French and will be released in Paris on Thursday -- is illustrated by Chinese dissident artist Ai Weiwei. 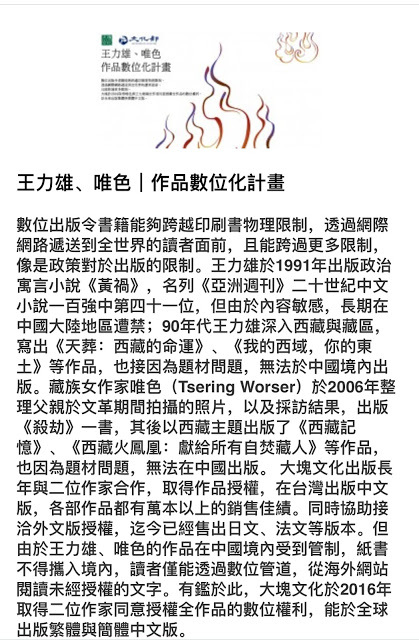 In it, Woeser -- who lives under surveillance in Beijing but has an extensive network of contacts in Tibetan areas -- tries to get to the root of why at least 120 Tibetans have set themselves alight in recent years, most in China but some outside the country. Many, but not all, have died. "Hunger strikes are a method of protest universally accepted and respected, whilst self-immolation is often ignored, because such suffering goes beyond the limits of what most people can conceive, even in their imagination," she writes. "Self-immolation is the most hard-hitting thing that these isolated protesters can do while still respecting principles of non-violence." The first recorded self-immolation in China was in February 2009, but Tibetan areas have seen an explosion in this violent form of protest since March 2011 when a monk set himself on fire at the revered Kirti monastery and died, sparking riots. Beijing has always strongly condemned the acts and blames them on exiled Tibetan leader the Dalai Lama, saying he uses them to further a separatist agenda. It maintains that Chinese rule has brought development and riches to the plateau. But Tibetans say the self-immolations are a response to increasing curbs on their religious and political freedoms, particularly since deadly 2008 riots in the Tibetan capital Lhasa that spread to neighbouring areas. 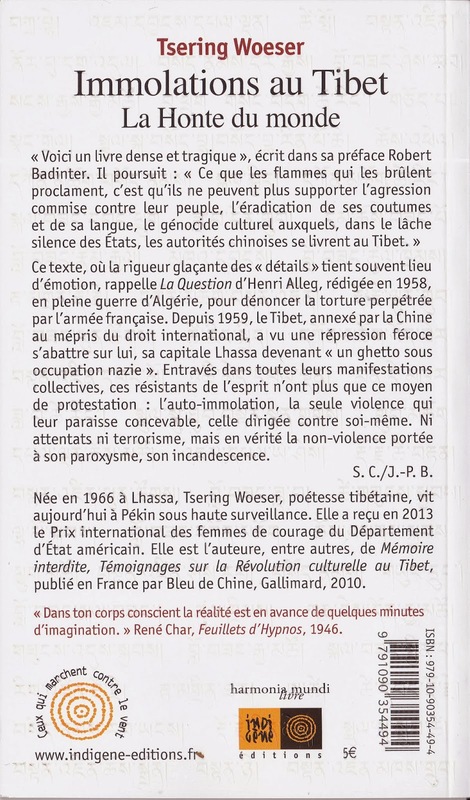 In the booklet, Woeser describes Tibetan regions as a "giant prison criss-crossed with armed soldiers and armoured vehicles". 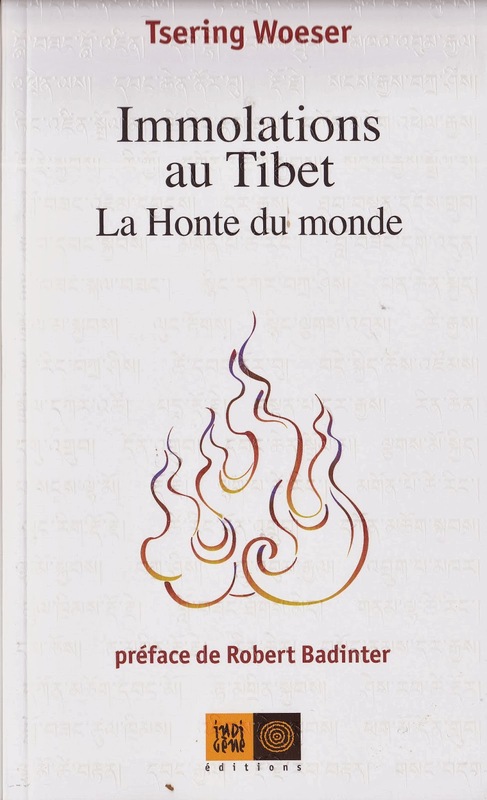 The reasons behind the protests, she adds, are diverse -- authorities arresting people for watching videos of the Dalai Lama's teachings, nomads forced off their pasture land to make way for mines and dams, surveillance cameras in monasteries, and many more. "They think we're scared of military repression, they're wrong" said Tenzin Phuntsok, one of the victims whose last words were cited in the booklet. And while monks and nuns were the first to set themselves on fire, a growing number of laypeople have started using this desperate, last-ditch form of protest. She cites "two schoolgirls, three students, three workers, four retailers, one carpenter, a blogger, a tangka (traditional Tibetan painting) artist, a taxi driver, a retired Communist Party official." One 25-year-old farmer called Wangchen Norbu, Woeser says, went specifically to a photo studio to have his picture taken before he self-immolated. Woeser, whose father was a half-Tibetan, half-Han Chinese army officer and whose mother was a Tibetan Communist official, is widely known for her blog -- translated into English on www.highpeakspureearth.com -- as well as poems and essays. As a result, she is under intense police scrutiny but unlike some other activists has so far avoided arrest and is still relatively free to move around the country. But Woeser, who is in her late 40s, admits that a booklet published abroad could get her into trouble with Chinese authorities. "For a long time, I have felt like I'm at the edge of a precipice, and I could fall at any time," she told AFP by email from her hometown of Lhasa, where she has been staying since June. "And writing this kind of book... is definitely dangerous. But I don't yet know how dangerous." "I'm closely watched every day, 24 hours a day," she added, pointing out that three to four cars full of plainclothes policemen are parked in front of her compound daily, a camera sits on her flat's roof, and security officers follow her every steps. "As for when I'm in Beijing, just this year I've been put under house arrest three times, which put together lasted more than a month."